As I indicated in the “History is slipping away" thread, I decided to take on as a retirement project researching the history of the Unitron Company. Since my decision to proceed, I’ve communicated with Fred and Tom in developing a way ahead…and greatly appreciate their input and encouragement. I’ve also started some research and begun making some contacts. My primary focus right now is getting a website on-line similar to the one Tom developed for Cave-Astrola that will be used for collecting and sharing information. 2. Document the existing 5 inch and 6 inch scopes; according to my Unitron Company source there is no record of production numbers nor purchasers; the global CN community will be a great help with achieving this objective. While attending the Almost Heaven Star Party at The Mountain Institute (TMI) in West Virginia this past week, I met and spoke with Bob Naeye, Editor-in Chief for Sky and Telescope about this project. I was hoping S&T would have some easily accessible archives to help in my research, but unfortunately that was not the case. He did say though that an article on the history of Unitron would be of interest to S&T. Maybe this should be another objective of this project. I’ll advise when the website is up and running. For now if anyone has any relevant source/contact information, or any comments they want to pass along, please forward to the email address I’ve established for this project: UnitronHistory2014@gmail.com. I would love to learn who was their advertising agency. They sure hooked me and thousands of others in the day. Good luck on your project. I do have a contact in mind. I'll send you the info if I find it. I think you cant write the Unitron history without the Nihon Seiko Kenkyusho history and the relationship with the Seiko Scopes, Polarex and Weltblick scopes. The Unitron telescopes are Japanese. Unitron is a private label not the original brand. Seiko Scopes and Polarex are the original brands. I understand very well the emotional relationship with Unitron. Don't hesitate to contact me if you need some information about Polarex in Europe. Dave and I have talked a bit and I really like his enthusiasm toward the project. I know all of us here will contribute as much as we can. 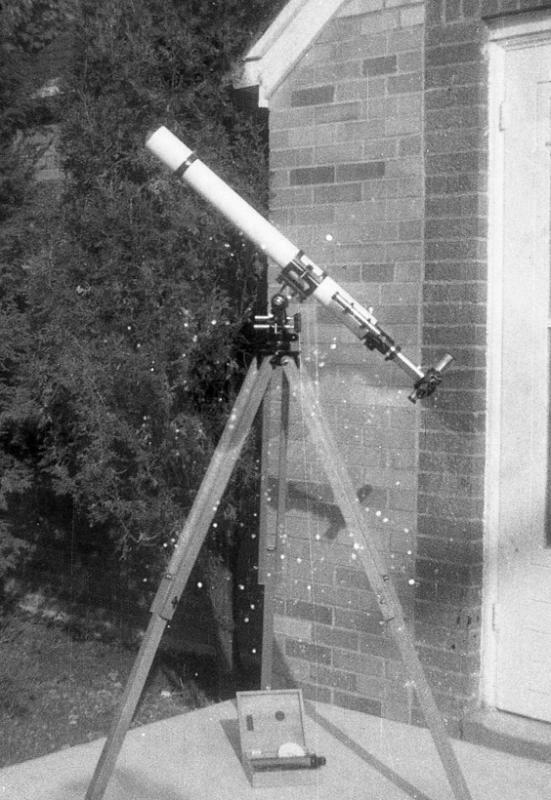 Dave will be needing images of some of the representative models of the telescopes as well as the different parts etc. 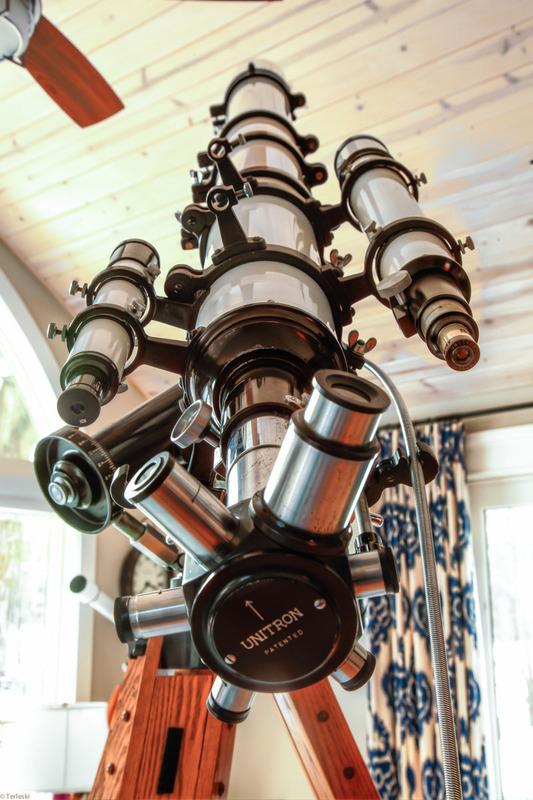 So dust off your "Brownies" and take some great pictures of your Unitrons as fall approaches. I know he will need them. Dave, I have some insight on what Ed Byers feels about the Unitron line if your interested. Edited by turk123, 30 August 2014 - 04:02 PM. Thanks, Xavier. I will certainly be in touch, but don't hesitate to forward whatever you have...especially locations of those long lost European 5" and 6" Unitrons. I recall a few Unitron ads in S&T indicating at least one 6" scope located there. Thanks, Tom. That photo is inspirational as always! Would certainly like to have the Ed Byers perspective. Some time ago I've written a smal story about Nihon Seiko on my blog. Xavier, great read with lots of good information. Thanks. There are more 6" unitrons in this country than you think. The people that have them just do not broadcast the information. I have been in contact with some of them and respect their privacy. It is a shame that most of the information about Unitron sort of died each time the Unitron company changed hands or moved. Anything from about the 80's is still available. anything before that time is just bits and pieces that can be patched together. What is worse that even more recent history is starting to fade. Good luck in this project I am sure you will uncover some very good information if you keep hunting. However, like Xavier stated, it all started in Japan with Nihon Seiko and I am not even sure what they really made or had made for them. I am sure like any other vendor everything is farmed out to sub vendors for various parts. Just like that Ford or Chevy. Johann, I recognize the difficulty in this effort given not only the passage of time, but the privacy issues. I expect this to be a multi-year effort...and a living document by virtue of the website. At some point in time those holders of information and owners of the larger aperture Polarex/Unitrons may want to reveal themselves. I view this project as a collective effort. I see myself as a coordinator with the time and motivation to take this on. One of my sources, a noted astronomer and author who was the staff astronomer for Unitron for a couple of years, commented in one of our recent email exchanges that he often wishes he could go back to those golden days of the late 50s and 60s with companies like Unitron, Cave Astrola, and others of that period. I feel the same and will be enjoying this project for just that reason. It’s ironic that just this year while clearing out the house I grew up in I found the attached photo of my first Unitron Model 114 that I purchased in 1959….and still own (second photo). It’s the only early photo I have of that first Unitron...most likely taken shortly after I took delivery. I hope the history pays some attention to the catalogs! They were lavish. They must have been very expensive to produce. The photography was inspired! Where were the photographs taken and how many photographers were involved? And who were they? Today, the whole Unitron thing might never have happened quite the same way. Telescopes are made by a few off-shore megacompanies and marketed with whatever nameplate you desire. And we all know that! The AT and Mallin RCs are identical GSO products. In a way, Unitrons were nothing more. Not made by the Unitron Company at all. Just cleverly marketed under that name in the USA. My "Canadian Unitron," bought new in 1960 was, after all, a Polarex. I had never even heard of Polarex at the time! I will digitally copy the many Unitron catalog pages I have. It is a pretty complete set. I don't think you would have to get permission to use any of this material now that it is no longer sold or produced. A high-res directory of all the models and parts would be great reference material for all. I forget the year they were produced, but will scan them when I get back to my office on Tuesday. I'll send you a dropbox link. Tom, I have an original 1958 catalog...and an original Nihon Seiko Kenkyusho, LTD (associated with Seikoscope Tokyo) Polarex Unitron catalog I picked up when I was stationed in Japan in 1987. 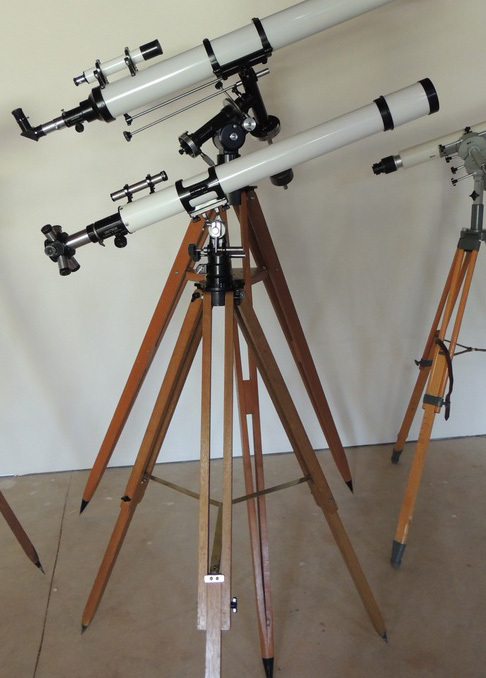 It lists and has photos of all the models including the Polarex Model 135 6" Fixed Pier Photo Equatorial as well as the Polarex Model 136 5" Fixed Pier Photo Equatorial. It's curious how the numbers were reversed. I also have a copy of the 1984 catalog that includes their Classic and Solid brass scopes. The website is going to include sections for all the different Polarex, Unitron, and Weltblick models...as well as for Catalogs and other Documents. I have also been in contact with a past dealer who provided me with some "pass out" sheets for the 5" and 6" models. It doesn't work that way Tom, as you found out when investigating the trademark Cave Astrola. The fact is, the Unitron company is still in business and most definitely owns the copyright. Permission is expressly required. These are not public domain. Many copies of unitron materials have been copied throughout the internet. I have not run across any attempt by the company to challenge the images. That said, technically unitron the telescope maker does still exist producing microscopes. I doubt they would care, but you are right, they should be ask before publishing the materials. I would think they would appreciate the work Dave will do with the site and hopefully help. My bad. The Astrola trademark expired, one 2.5 years ago, the other a year ago. Hardin optical the previous owner has never answered any of my emails about acquiring the trademark. They have never challenged me for any of the work I've done. (Their trademark is for eyepieces and optics) I did not want any overseas company acquiring the name. Due to common law rights (another permission issue) I did not pursue do to the cost of the filings. I would do it if Hardin would give up any common law right. They've just had the right so long, they could reverse my filing under common law. Of course that would cost them a lot of money also. My cost with attorney fees would be about $1500. I've been in contact with a Senior VP at Unitron since I started thinking about this project. He is aware of the website. I will be certain to ask specifically about the copyrighted material. Feedback today from the current Unitron Company, Senior VP, wrt posting old Catalogs, price sheets, etc on the website was "this shouldn't be a problem". That's great news. Now get it in writing. Easiest way is to send an email to him just asking his permission. Keep it on file. I will contact Unitron if you need. We go back along way and have a very good relationship. They have always been great to deal with. Thanks, Johann. I believe I've got what I need "in writing"...and I think as we've discussed before from the same very helpful contact at Unitron. Will certainly let you know if I need some help. Just got off the phone with Martin Cohen, Company Seven, discussing his article on Unitron/Polarex...and his extensive archive that was used as source material! Can't wait to meet with him next Friday, 12 Sep 14. Go for it, Dave. This will be a fantastic resource. Now somehow we've got to get the next generation to fall head over heels for these Unitrons. I think a well-illustrated History could have the same effect on today's youth that the original glossy Unitron ads & catalogs had on us many years ago: Who didn't look at those graceful forms and think, "I want one of those!" Now more than ever, the classic Unitrons stand in stark contrast to the gizmo-laden junk that kids see in stores. A History could help them understand the qualities that draw us to the Classics, and encourage them to continue in the hobby. I'm qualifying my statements because I really don't know for sure. I do know that young people react to my old scopes with a "Wow!" because they didn't realize such instruments still existed. IME, the best "sales" are made in person, since they can experience our enthusiasm, but the Internet gives us a vastly larger audience -- look at the impact of our CN Forum. A web-based History Of Unitron with lots of pictures and maybe some videos or other interactive elements could be immensely popular, and certainly not a waste of time, talent, or energy. The only down side is that they're not being made any more!